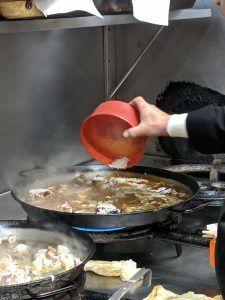 In Valencia, Spain, Paella is very serious cooking. I found a local restaurant to try for authentic paella and asked a Valencia tourist information officer his opinion. 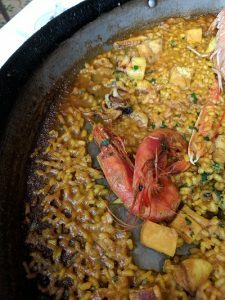 He took a good long look at the pictures of cooked paella at Alqueria del Pou restaurant and deemed it the real deal! 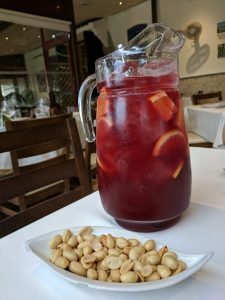 We started with a pitcher of Sangria and fresh roasted peanuts. This definitely set the tone for our Spanish lunch. It’s well known the rice for paella has to be a certain type and then the way it is cooked creates the socarrat. It’s that magic moment when the rice turns brown and crusty on the bottom and edges of the pan that passes the test for paella. 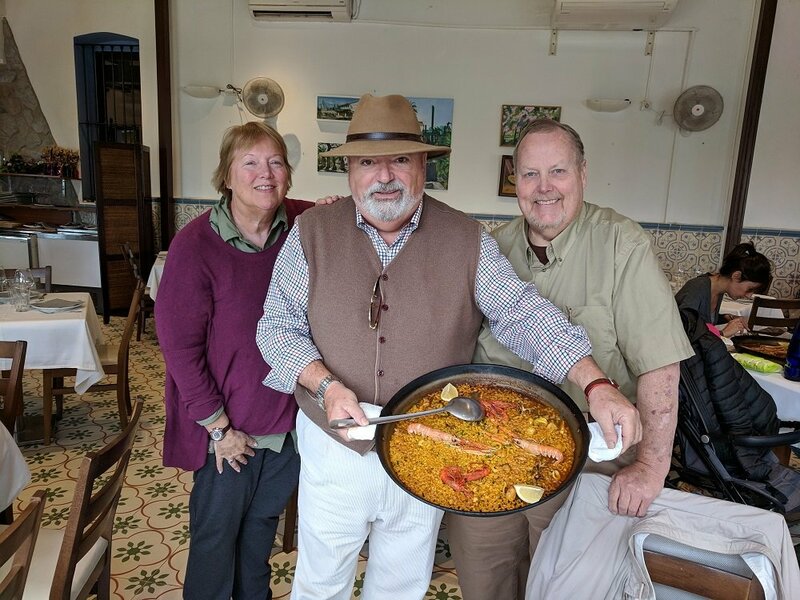 Salvatore at Alqueria del Pou showed us how proud he was of the restaurant’s authentic paella and our lunch became a treasured memory. I love his hat! 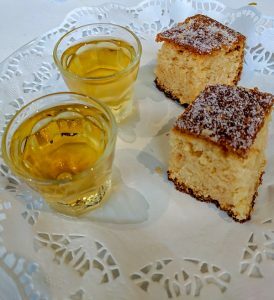 And we couldn’t pass on the complimentary dessert of Mistela liquor with cake. Dipping the cake in the liquor was the perfect way to end the meal.